Rounding out the distinctly New Jersey oriented series of posts this week, captured during a day trip which ended in Bayonne, is a Project Firebox. Kevin Walsh and I both spotted this alarm box at the same time, which evinced an “oooohh” from your humble narrator and a sharp intake of breath from the webmaster of Forgotten-NY. This is a fairly early Gamewell Telegraph Alarm Box, which still seems to be employed. In 1855, John Gamewell of South Carolina purchased regional rights to market the fire alarm telegraph, later obtaining the patents and full rights to the system in 1859. John F. Kennard bought the patents from the government after they were seized after the Civil War, returned them to Gamewell, and formed a partnership, Kennard and Co., in 1867 to manufacture the alarm systems. 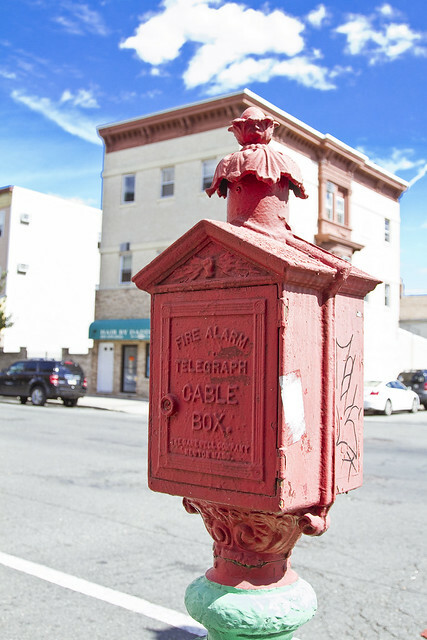 The Gamewell Fire Alarm Telegraph Co. was later formed in 1879. Gamewell systems were installed in 250 cities by 1886 and 500 cities in 1890. By 1910, Gamewell had gained a 95% market share. Saying that you’ve seen a Gamewell is a bit like saying that you’ve seen a Ford or a Chevy, of course, as the Massachusetts Company has dominated the market for well more than a century. Still, running across one of these on the street in such a totally random manner is what this blog is all about. Our little party began to madly photograph the thing, which no doubt caused the local Bayonnicans no small amount of puzzlement. Of automatic type and Gamewell make, installed in 1907, and includes the following: An 18-circuit protector-board, arranged for 10 fire alarm circuits and 8 police signaling circuits; a 10-circuit battery charging board for the police system; a 10-circuit fire alarm battery charging board, with the usual testing and charging devices; a 7-circuit non-interfering automatic repeater; a punch register for registering all alarms, connected to a box circuit; a stop clock; a non-interfering break-wheel transmitter with a wheel for each box number and each assigned number, and a J4-K. W. motor-generator for charging storage batteries. A motor-generator is held in reserve in the storeroom. Switchboards are marble on wooden mountings. A gong and pen register on a direct line from the A. D. T. office in Jersey City is located in the hall adjoining the operating room. The department telephone switchboard is in the operating room. Apparently, there is a large collectors market for this sort of device, largely driven by former firefighters who wish to preserve them as historical artifacts. 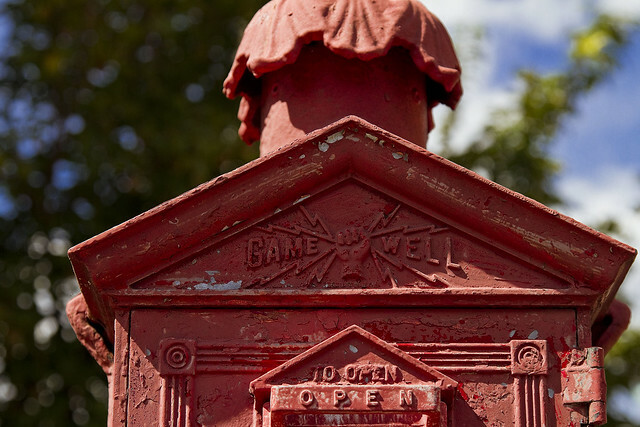 In today’s world, the only company still manufacturing telegraph fire alarm boxes is the Gamewell Company, owned by Honeywell, Inc. 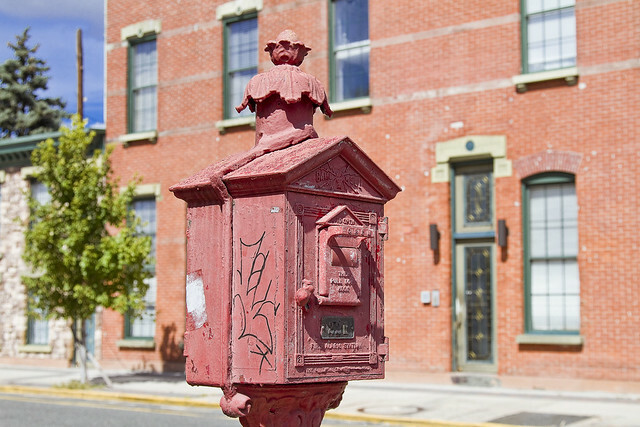 While no one is purchasing new complete telegraph fire alarm systems, there are some towns that still add to their existing systems. Thus, there is still a need for Gamewell to produce these boxes.